Mexico’s Baja Peninsula might be my new favorite place to vacation. 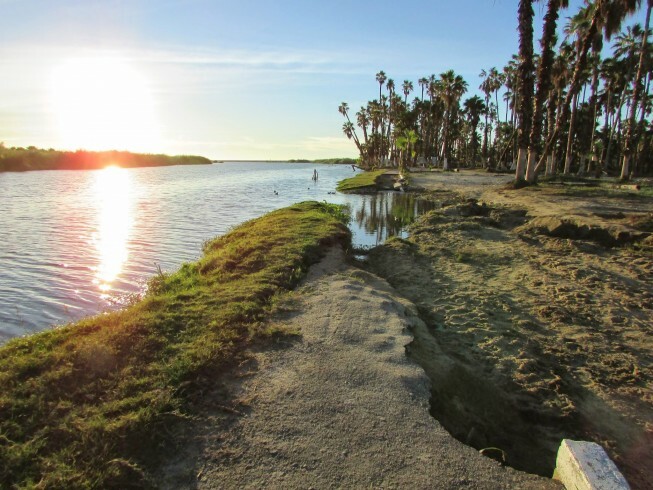 I’m not one for big party crowds, I don’t speak a lick of Spanish, and Mexico’s recent reputation in the media doesn’t exactly paint a picture of relaxation; yet, Baja has more to offer than just spring break festivities in Cabo san Lucas and tequila shots in Tijuana. 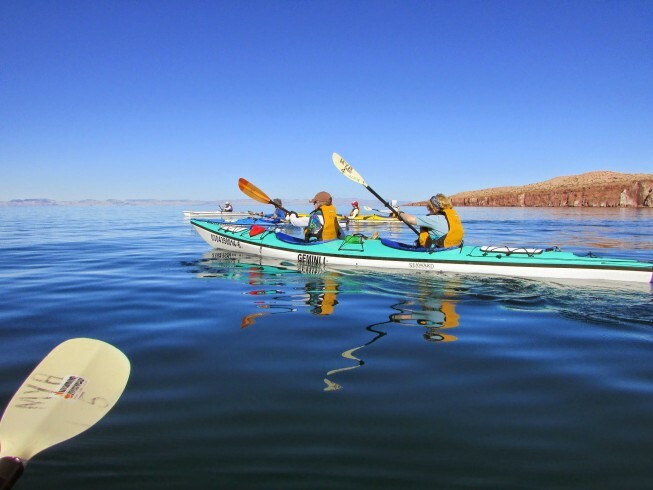 I booked my 10-day Sea Kayaking and Whale Watching Adventure to escape an endless sub-zero winter in February. As a solo, female traveler, I was apprehensive about traveling to a foreign country with a dubious safety record for non-local visitors. Nonetheless, a suffocating case of cabin fever trumped my doubts and I reserved my trip. It was the best decision I made all winter. Getting to the meeting place was a cinch: I flew to San Jose del Cabo, took the Eco Baja bus from the airport to La Paz, hopped in a taxi for a three minute ride to Posada Luna Sol, and I was there! Since I had pre-arranged all of my transfers before I left the States, I didn’t even have to use my Spanish phrase book once. 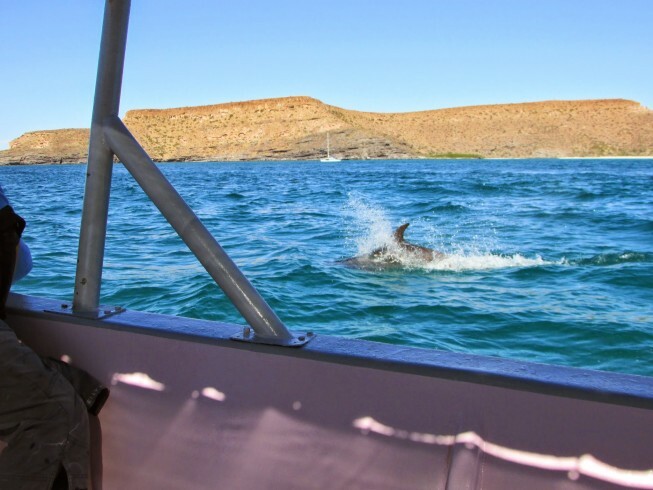 Once everyone had arrived, our small group set off with our guides on a skiff towards the National Park of Espiritu Santo Island. As we anchored in front of our private beach I knew this place was for me. Though I love to camp and am happy to sleep with my head in the sand, I didn’t have to. Spacious safari-style tents, complete with cots and night tables, were set up for us like a tiny village. Our camp was equipped with freshwater showers, bathrooms with privacy tents, a shaded dining area, chairs… I felt like I had hit the vacation jackpot. As our days passed, I was pleased to discover this journey was about more than just sea kayaking. There was birdwatching, hiking, fishing, snorkeling, exploring, stand up paddle-boarding, evening interpretive talks, and my favorite activity: swimming face-to-face with sea lions. Boredom was impossible. After four days at our blissful little island camp, we said our goodbyes to the crew and boarded the skiff back to La Paz. Next stop: Whale watching in Magdalena Bay. 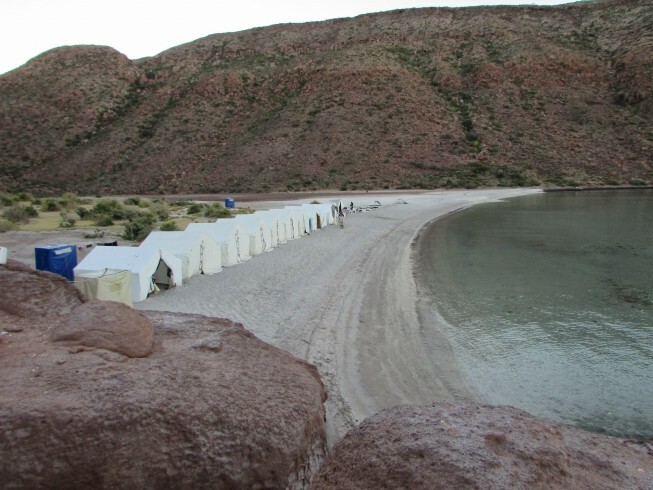 Our camp at “Mag” Bay was similar to our island accommodations, though it had its own special features. Here, there were bird-filled mangrove swamps to kayak, endless miles of sugar-sand beaches to explore, and the Pacific Ocean just a short walk away. 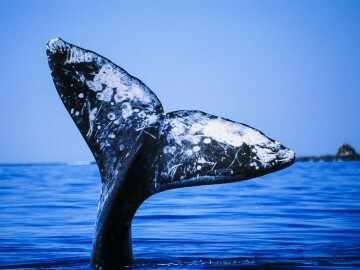 We spent our remaining days venturing out in the skiff to come (literally) within an arm’s reach of grey whales. We watched manta rays leap out of the water in schools and bottle nosed dolphins play in the wake of our boat. Our guides were always prepared with answers to our endless questions. My group of fellow travelers, once strangers, had fused into a spirited, fun-loving family. Over ten days we had exchanged countless stories, laughed hard, and shared once-in-a-lifetime experiences. When we parted it felt like the last day at summer camp as we exchanged addresses and promised to write. I expected my trip to Mexico to be memorable, but I didn’t expect it to be one of my best vacations ever. 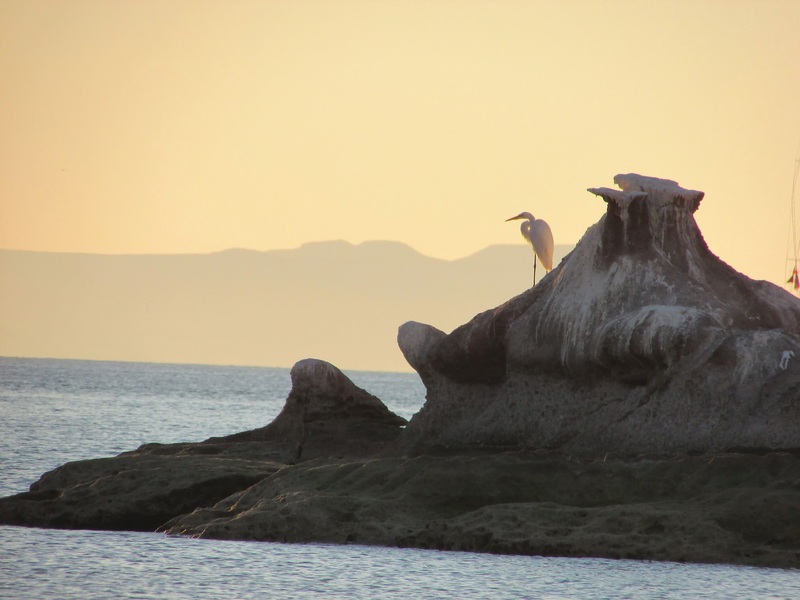 Between the ease of getting there, the comfortable accommodations, the variety of activities to enjoy, the intimate encounters with the wildlife, and the quality of the company I shared, Baja ranks high on my list of favorite places. Photos courtesy of Amanda O’Neill. Amanda knows that adventure, stories, and outstanding food and drink are best paired with the thrill of a new experience; it’s no wonder she works for OARS. Amanda has been on more than 100 river trips throughout the United States and has floated more than 3,000 river miles.